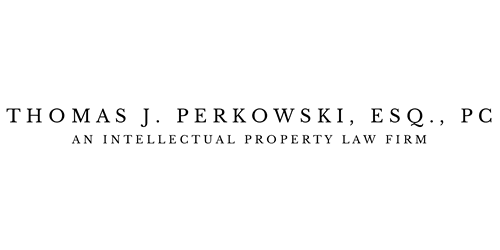 Thomas J. Perkowski is a registered Patent Attorney, who founded Thomas J. Perkowski, ESQ., PC back in 1998. The goal then, which remains today, is to offer clients a high level of intellectual property advocacy characterized by passion, concern, trust, loyalty, strategy, and results. He is a graduate from Clarkson College of Technology (B.S.E.E.) of Potsdam, New York, and Franklin Pierce Law Center (J.D.) of Concord, New Hampshire. He is the author of Claims to Fame and Fortune, and Five Simple Truths About Inventions, Innovations and Entrepreneurship . He is also a former associate of Hopgood, Calimafde, Kalil, Blaustein and Judlowe of New York City, and Hoffmann & Baron of Jericho, New York. Over the past 30 years, he has advised individual inventors, entrepreneurs, engineers, investors, marketers, executives, patent attorneys and general counselors in diverse and highly competitive industries around the world. Over the past 30 years, he has drafted, prosecuted and solicited nearly a thousand US Patent Grants, over 600 of which can be viewed in the Patent Gallery. In response to the gathering threat of prior art flooding by Internet search engines, and widespread patent validity challenges, he invented an Artificial-Intelligence (AI) based robotic system that provides attorneys, inventors and examiners with cognitive-assistance during the complex and tedious processes of searching, analyzing and charting discovered prior art, against the limitations of a set of patent claims. This next-generation system will integrate powerful search engine, artificial intelligence (AI), and charting technology, to automate the patent claim searching, examination and prosecution process in an unprecedented manner. Currently this system is under development by a DC-based enterprise-software firm. The goal is to provide patent attorneys, inventors and examiners alike with a next-generation AI-based robotic system that makes securing "gold-plated patents" easier and more economical. In turn, this will strengthen the USPTO's Patent Claim Examination System, the US Patent System, US-based industries, and the economy.